"Rich Man's Daughter", the brand new single from the upcoming project by Mississippi-based Volume Five, was released to radio programmers last October. The new CD titled Run is the band's third on the Mountain Fever Records label and is expected for release this February. Visit the band's website to hear what this exciting bluegrass band has to offer. The first single from the new Jett’s Creek album was released in late October. “Back Home Again” is the first song from The Wait is Over, scheduled to release in February 2013 on Mountain Fever Records. Jett's Creek plays original and traditional classic bluegrass music. Willis, VA -- Mountain Fever Records is proud to announce "Back Home Again", the first single from the new project by Jett's Creek. The single was just released to radio so you should be hearing it soon. The Wait is Over...that's the title of the new project from Jett's Creek to be released in February 2013. And for fans of this great band of singers and musicians, that's very welcome news. Willis, VA -- Mountain Fever Records is proud to announce "Rich Man's Daughter", the brand new single from the upcoming project by Mississippi-based bluegrass music group Volume Five. The single was just released to radio programmers yesterday. The new CD titled Run is the band's third on the label and is expected for release next February. Willis, VA -- Mountain Fever Records is proud to announce the release of Calm Before The Storm, the brand new CD by Delta Reign. The project has been shipped and is available to radio programmers and consumers everywhere. Willis, VA -- Mountain Fever Records is proud to announce the release of "Columbus Stockade Blues", the first single from newly signed artist Delta Reign, available today. Calm Before The Storm, the band's debut CD on Mountain Fever Records will be released October 9th. Willis, VA) —Mountain Fever Records is proud to announce the release of "What Kind Of Love", the first single from the debut CD by Kevin Richardson & Cuttin' Edge, is available today. The self-titled project will be released August 7th. Known to their fans as KRACE, Kevin Richardson & Cuttin' Edge is a relatively new band on the bluegrass circuit. But don't mistake that "newness" for inexperience. 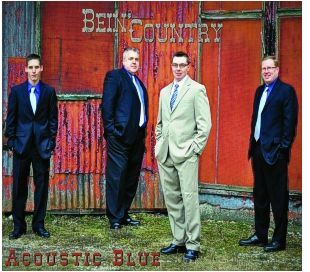 Acoustic Blue has released the first single off of the upcoming CD "Bein' Country". 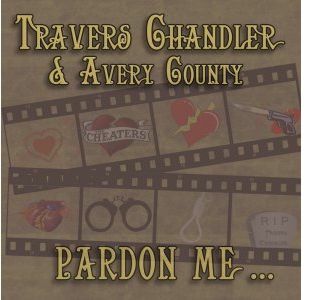 This original features the vocals of Corey Zink with harmony by bluegrass artist Gena Britt. Fiddle is provided by Mike Hartgrove. The project was recorded at Mountain Fever Records and produced by award winning bluegrass banjo player and band leader, Sammy Shelor. 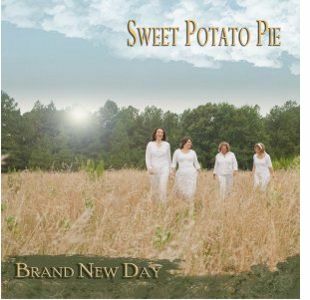 Willis, VA -- Mountain Fever Records is proud to announce the release of Brand New Day, the latest CD from North Carolina-based Sweet Potato Pie. Sweet Potato Pie has been entertaining audiences for over a decade with their classy blend of bluegrass, country and gospel music mixed together in a style called "sweetgrass". 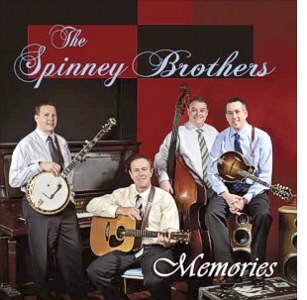 Willis, VA -- Mountain Fever Records is releasing the debut single from the upcoming CD by Canada's international bluegrass band, The Spinney Brothers. "Memories", the single and also the title cut from the project, has been shipped and will be in the hands of programmers this week.